I'm sitting here with a coffee in one hand and a little carton of chocolate milk in the other. Every time I take a sip of the coffee, which started out black, I fill my coffee cup back up to the top with the chocolate milk. By the time I'm finished, I will have had a small piping hot black coffee, a small lukewarm mocha, and a small cool chocolate milk. 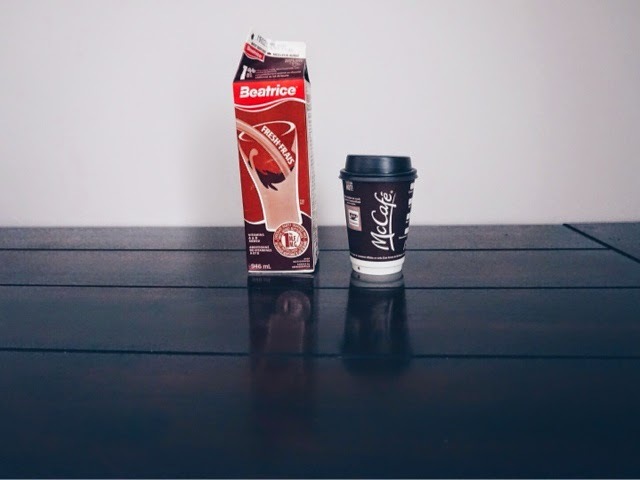 I will also be acutely aware of my exact preferences regarding the ratio of chocolate milk to coffee so that I can be blisteringly snooty about it when I order mochas at coffee shops from here on out. So, yeah, I guess you could say I've had a productive morning.